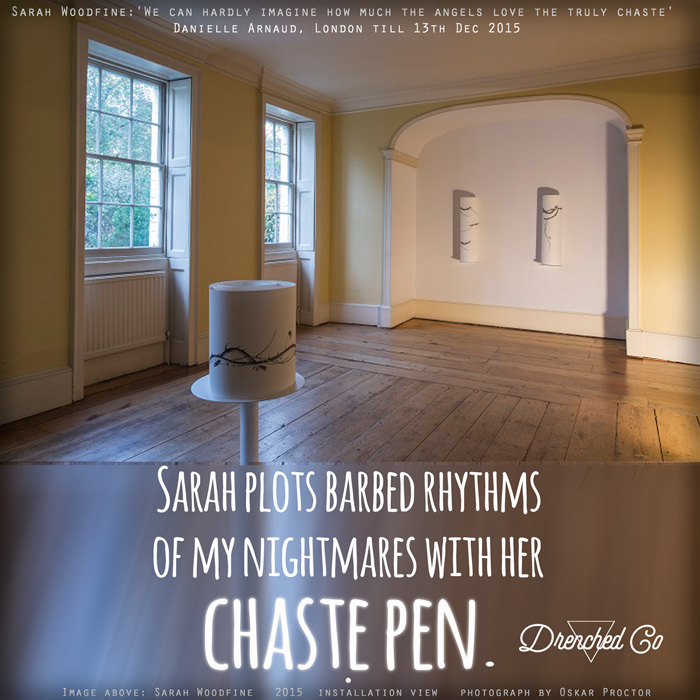 Wounds that Bind: Exhibition Review - Sarah Woodfine:'We can hardly imagine how much the angels love the truly chaste' Danielle Arnaud, London till 13th Dec 2015. Exhibition Review - Sarah Woodfine:'We can hardly imagine how much the angels love the truly chaste' Danielle Arnaud, London till 13th Dec 2015. Courtesy the artist and Danielle Arnaud Contemporary Art, London.